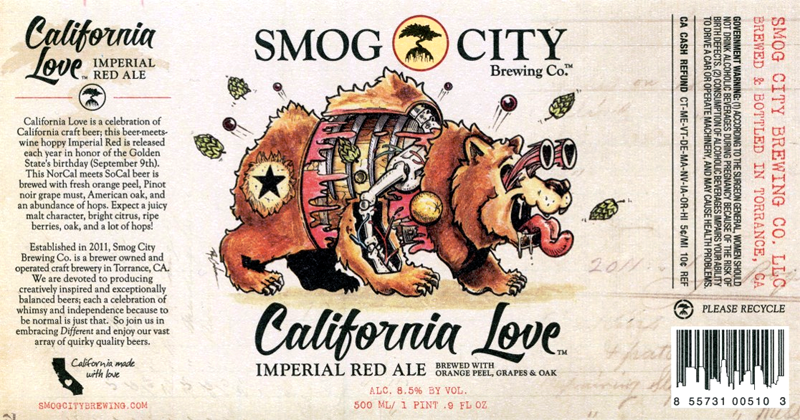 A complex label printed by Labeltronix for Smog City Brewing recently won a prestigious L9 World Label Award for 2018. Labeltronix received the award in the flexographic color process category for “California Love,” featuring a detailed illustration of the California bear from the state flag. Out of 70 labels that were eligible for the global competition, Labeltronix’ entry emerged as one of only 21 winners selected by an international panel of judges. The L9 associations hail from Australia, China, Europe, India, Japan, New Zealand, and the U.S. In order for companies to compete, their entry had to win a prize in their region’s label awards competition first. “California Love” by Labeltronix qualified for the competition because it won the Best in Class Award from hundreds of entries in the Tag and Label Manufacturing Institute (TLMI) in the U.S. late last year. That honor in the Flexography and Letterpress category automatically entered the label into the worldwide competition. For California Love, a 4-color flexographic printing process was used to create the label on a difficult uncoated textured material. To get the proper coverage for the intricate design, Labeltronix’ printing experts chose just the right ink to provide a precise amount of density that would cover defined areas. “This was a challenging label to print, and we’re extremely honored to have been recognized for our success by a panel of our peers from around the world,” said Shawn Plunkett, General Manager at Labeltronix. The award was presented at the 2019 TLMI Converter Meeting in Asheville, N.C. on March 12.